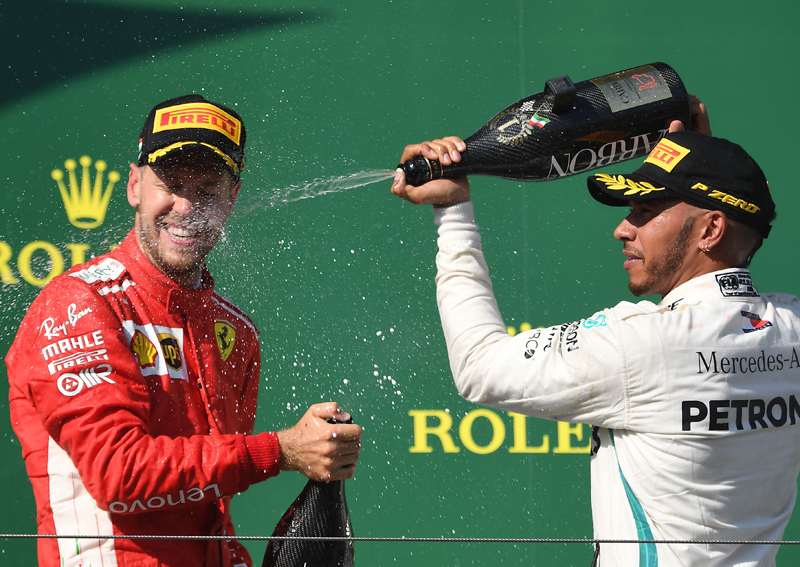 SINGAPORE - Ferrari's Sebastian Vettel admitted on Thursday (Sept 13) he had been his own worst enemy in his Formula One title duel with Lewis Hamilton. Vettel has made a series of driving blunders to leave him 30 points behind the Englishman as they go into this weekend's Singapore Grand Prix. "The biggest enemy is me," the German told reporters at the Marina Bay street circuit. Vettel's lapses have cost him points at races in Azerbaijan, France, Germany and Italy that could have seen him leading the championship with seven of the 21 races to go. Instead, Vettel is playing catch-up and he knows he cannot afford any more gaffes. "It is pretty straightforward," he said. "He (Hamilton) is ahead at the moment so he is the one to beat. But we have had the chances. "It doesn't help when you start from the front row and you end up facing the wrong way," he said of his first lap spin at Monza two weeks ago, which left him at the back of the pack. "We need to look after ourselves and if we do that we have a good chance to win races." "I think most important is that I know what happened and I can explain it, and then everyone is free to have their own views on what happened," he said. "I would have loved to win in Germany, for sure, but I'm not too bothered and I'm generally looking forward, and not focusing on what we all could have done differently to avoid what happened."